Akiko Susumu is not what she seems. Her life as a normal teen living in a coastal Canadian town is a complete sham. The old man she lives with is not her grandfather, he's her captor. And Akiko isn't a teen. In fact, she isn't even human. But Akiko isn't allowed to share the reality of her true nature with a single soul. Not even her three best friends know of the power she could wield, given the chance. So, when she's sent back to her homeland to steal an ancient samurai sword, she jumps at the chance to secure her freedom. Only to get caught in a deadly game of cat and mouse with the most dangerous crime syndicate in Japan. 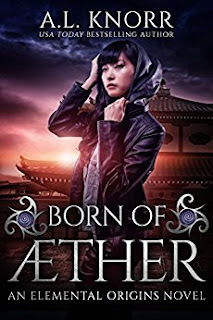 Can Akiko escape with her life and her soul, or is true freedom as elusive as the Aether she was born from? In 1938, at the height of the Great Depression, a madman hunts his victims through the hobo jungles of Cleveland, terrorizing the city. Ethel Harding, a prostitute struggling to survive both the cold streets and the Torso Killer, takes refuge with a devout missionary sect—only to find that its righteous facade conceals the darkest of secrets. Sixty years later, the police find the butchered body of Alfred Wiley in the woods. But before his daughter, Kris, can even identify the remains, things he never told her begin to surface one by one—a mysterious private eye who’d been tracking him, an eerie website devoted to the unsolved “Torso” murders, missing archives, stolen books, and an abandoned Bible factory harboring vagrants. 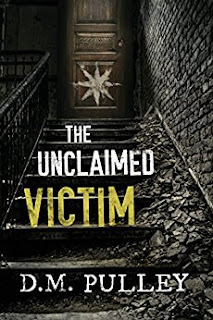 The more she learns about her father’s obsession with the Torso Killer, the more Alfred’s death appears to be related, pulling Kris further into Cleveland’s hellish past. Living decades apart, Ethel and Kris must unravel the truth behind the city’s most notorious serial killer…or die trying.